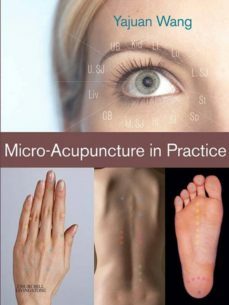 Unique and comprehensive, this resource thoroughly discusses the various micro-acupuncture systems with clear and clinically useful information for practice, including styles of practice throughout the world, overviews of each system, and treatment for common disorders. All micro systems are covered, including information on point locations and functions. Treatment protocols are given for more than 50 common diseases and conditions, providing the tools necessary for the most effective treatment of patients. The books readability, evidence-based approach, excellent organization, detailed illustrations, comprehensive coverage of all micro-systems, and practical therapeutic treatment guidelines for commonly seen conditions make it an essential for anyone treating patients with acupuncture.Covers all micro-acupuncture systems, including point locations and functions, providing you with a wide variety of clinical tools - all in one reference.Treatment protocols for more than 50 conditions, listed alphabetically for quick reference.Logically organized, with consistent coverage of introductory material, micro-systems, and treatment protocols.Clear and detailed illustrations and photos that show locations of acupuncture points and each micro-system’s relationship to the body, enhancing your understanding of treatment techniques.Based on current research with evidence behind the systems to ensure you are using the most authoritative information in the field.Author Yajuan Wang, an instructor at a major naturopathic university, has more than 20 years of clinical experience.